TAP Portugal (Miami) from June 28 through September 22, 2015 will go to daily service on the Lisbon-Miami route. Ironically this is the summer rainy season for Miami, the off season for North American visitors. The route is operated with Airbus A330s and A340s. Copyright Photo: Pedro Baptista/AirlinersGallery.com. 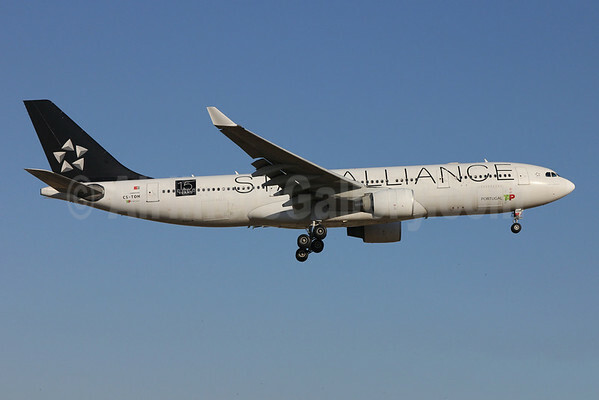 Airbus A330223 CS-TOH (msn 181) in the Star Alliance livery arrives at the Lisbon hub. This entry was posted in TAP Portugal and tagged 181, A330, A330-200, A330-223, Airbus, Airbus A330, Airbus A330-200, CS-TOH, LIS, Lisbon, Miami, Star Alliance, TAP Portugal on December 13, 2014 by Bruce Drum.